Creditors command and demand, Greece is willing but … some red lines cannot be set aside. Apart from that, creditors’ commands are anything but logical as their demands could be only described as crazy. Furthermore the creditors seem divided as to what they demand from Greece with the logical consequence that the negotiations talks have ended into a deadlock. 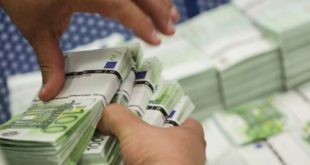 While the European Commissions wants austerity measures worth 4-5 billion euro for the second half of 2015 and the 2016, the International Monetary Fund raises the lot to 7 billion euro for 2016. The all-inclusive austerity package should include among others €2.7 billion cuts in pensions. 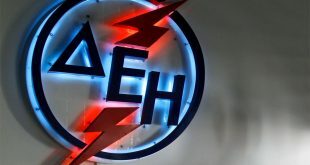 The Pensions Chapter is one of the thorns among the negotiation partners, and Greece would love to postpone it for after the provisional agreement with the creditors, call them: Institutions. Pension for a civil servant (director, 37 years of work) should come down to €900 from €1,386 today after the pension cuts during the austerity years. Of course, with the PSI in March 2012, Greece’s social security funds suffered a huge slap in their deposits in Greek bonds. 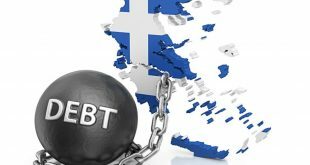 According to the Bank of Greece report of 2012, social security funds were holding Greek bonds with nominal value €18.7 billion euro. The PSI gave them a new look with a nice hair cut of 53.5%. Guess, how many billions euros were left behind. If one adds the loss of contributions due to high unemployment, part-time jobs, uninsured jobs and the disappearance of full time jobs in the last 3-4 years, the estimations concerning the money available at the Greek social insurance funds are … priceless! Another thorn in the negotiations is the Value Added Tax rates. Creditors reportedly want Value Added Tax hikes in the utility bills, electricity and water charged with 23% V.A.T. from 13% now. Do I hear you say that the austerity recipe imposed to Greece is wrong? You’re totally right. But creditors insist on it and then wonder why the soufflé dramatically sinks once it comes out of the oven in Brussels. *examples: the pensions issue is a huge labyrinth as full or reduced (early retirement) pension calculation depends on several criteria in addition to the 37 years +11,000 IKA-stamps scheme. There is no average and therefore there can be no average cuts. What is fact is that pensions in private sector sank at 26% in the last 3 years. But the pensions issue is another topic of another blog post. Tags crazy creditors demands Greece negotiations pensions V.A.T. About time to realize that.your government cannot spend more than it generates in tax revenue. About time to realize that your pension funds is more or less broke and the remainis have recently been looted by Syriza to avert default. About time to realize that the East European countries have absolutely no will to continue financing Greek pensions that are way higher than their own. About time to realize that there will be no growth and investments, because Syriza has already promised every Euro that might have been invested multiple times to their voters. About time to realize that the rest of Europe has lost all faith in the Greek economy to be able to stand on their own feet. Your Troika bashing reveals an inconvienient truth from another perpective: if the Greek pensions system should not collapse, pensions need to be cut in half, as nobody is willing to pay for the difference for left wing radicals, that are unwilling and / or unable to reform. Syriza tries to make Greece the everlasting charity case for Europe, but that’s a tiny bit asked too much. Even worse: without a complete reset of this through and through both economically and moral corrupt scociety, Greece will never ever come back to private finance markets and this is the only way to grow. – Believe it or not: Syriza can seize and loot Greek funds, but not European ones. And this makes Greece a failed state. – Just as all the other communist paradises. Greece has become like Venezuela. – But without oil. “Austerity” is another word for reducing the Greek budgetary deficit. And you think you can bypass this with propaganda? – Never, ever! hahaha! whatever Syriza does or does not is wrong! Yo, Chris, we DO NOT have an “economically and moral corrupt scociety.” I hope you meant “government” and not “society.” Mind your choice of words. If there are things about our society we do not like, we are not going to apologize for them to you or anybody else. Further, before just typing truisms and posting them as the “common sense” you think you are the sole owner of, try to find out why we are arguing against austerity. PS I’m sorry for your bitter experience with “communism.” I really am. I trust capitalism is doing wonders for you and your country. Maybe so. But then again: hasn’t the Greek voter sold his voice over decades again and again to those populist parties who offered the most benefits – irrespective who is supposed to pay for them? Isn’t the latest vote based on the idea that nobody (at least in Greece) would foot the bill for the decades of government overspending? Didn’t 80% of the Greek voters support this free-lumch-for-all approach? – One can easily call this corruption. P.S. : In which communist country of Asia, South America or Africa would you prefer to live over – say – Switzerland? Like all brave democrats still ignoring the fact that of 9.800.000 voters the winner – 3.620.000 – didn’t vote at all and just 2.200.000 voted for Syriza. And of more than a million unemployed less than 100.000 get paid 360 Euro per month, totally corrupt people. Oh the famous “Chris” again! So droll and SO troll. A typical German worker gets after 45 years of working approx. 47% of the average wages. No, Germany relies primarily on para-state social insurance agencies not on taxation. The management of these funds is controlled by law. Greece has similar structures (copied from Germany)such as IKA and TEBE, but they have not been run properly, and the Greek legal system is corrupted and incompetent beyond belief. Your simplistic idea that it is about paying taxes is just ignorant. And double the salary. And a job to begin with. But what about the millions that work in mini-jobs and small businesses? They won’t get any pension! Are they not typical or do they don’t get into statistics only when their number gets over 20 million? …the AVERAGE wages. And huge social security to make up the shortfall. Collect taxes. Grow your productivity. Cut salaries and pensions. Privatize everything. This is what we – Portuguese, Greeks – are being told to do. In the meantime, as a result of investment capacity exhaustion by economically irrational interest rates, skilled young workers can no longer wait till the day of happy investments: they are just now escaping in the order of tens of thousands per year to central and northern European countries. Destination countries will profit from investments they never made. Countries of origin will never see the return, nor regain the capacity to feed their pension funds. Antonio, that was the PLAN. Or at least a pre-known by-product of grabitization. I went and figured. Upfront, I am not familiar with the Greek pension system but the above sentence would suggest that there is something wrong with it; certainly with your expectations (I can only compare it with Austria but I add that Austria is the No. 1 re-distributing country in the entire world, according to the OECD). First, if 37 years of work are sufficient to retire, a reality check is in order. In Austria, 40 years is the absolute minimum and the official retirement age is 65. 80% of the salary of the last 5 years was about as crazy as things can get. Calling a reduction from that level a ‘austerity-driven pension cut’ is irrational. Even 60% of salary is quite high when it is based on the last 5 years or even the highest year. In Austria, an average is taken of all life’s earnings. I obviously don’t have the numbers but I would guess that if everything were added up in Austria, particularly the higher earners who have the greatest ‘pension shock’, the percentage would not be much above 50% of the salary of the last 5 years. One thing is for sure: a private sector employee with a last salary of 2.300 Euro would never get a pension of 1.452 Euros after 37 years of work and I am not even sure if he would get 1.250 Euros if he could take early retirement after 37 years of work. as I mentioned in the post the system is very complicated and very individual calculated and I tried to write down a summary from a long discussion I had with someone who knows very well this issue. From the examples I talked with him about there was no 2.300 -1452. It was rather 3,000 – 1,500 euro. what is a scandal is that civil servants get the same salary-pension (main+supplementary from 2 extra funds) with early retirement 25 years as their contributions have been rather on “the papers”. On the other hand, majority of old IKA/ or self-employed pensioners -now 78+ – get full pensions after 45 years of work/retirement at 65 average 600-700 euro (or 490 in early retirement) the same as some recently pensioners. On the other hand, OGA fund pensioners (farmers) get 390 euro. and then you have the scandal of early retirement after 15 years of work (civil servants, utility companies, pension funds workers, banking sector) with 490 euro who got retired at 37 or something. and still this noble class of workers (utilities, banking sector) get pensions over 2,500 after MoU cuts and 2,000 after 25 years early retirement. As I said: difficult to go figure, difficult to get an average, difficult to distinguish among the real private sector and the sectors that had very strong Pasok-infused unions that keep sucking the blood of funds. I would agree that the level of the vast majority of pensions is not earth-shaking, to say the least. Since the overall pension cost is still very high, it must be the structure of the system (I understand over 100 pension funds). Example: my friend’s sister-in-law died 2012, aged around 80, and her last pension was a little over 1.000 Euro. That pension originated in the early 1950s when her father retired. After her father’s death in 1974, it converted to a widower’s pension for her monther. And when her mother died, the daughter received it because she had never worked, thus could argue that she always took care of her parents. A system which allows a pension to be paid for 60 years has a problem. My sense is that the Greek pension system has a lot of losers but also a lot of winners. There doesn’t seem to be a cap on total pensions received from the state (before the pension cuts started, one of my neighbors, who had had 3 public sector jobs, received 3 pensions totalling about 12.000 Euro!). There seem to be excessive early retirements without discounts on the pension (I would like to know the average age of people when they start receiving a pension). And so forth. All pension systems avoid transparency so that the losers don’t see that they are losers, and Greece seems to have a lot of well-known losers and a lot of unknown winners. In conclusion: the Greek pension system seems utterly unfair and a structural reform would appear to be in the service of fairness. there are some 130 pension funds. as you say: lots of losers and thousands of winners. 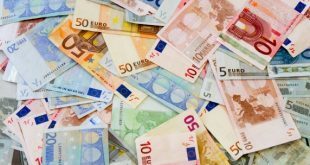 my father retired with 65, 22 years ago and a pension of 600 euro. and sister in law pension was public sector as the “unmarried daughters’ pension have stopped for the private sector some 15+ years ago, if I’m not wrong. It is an unfair and unbalance system here that definitely needs total overhaul. That’s the Structural Reforms many Greeks – me incl- support and not just cuts. Cuts will not solve the problem except only temporarily and thus for fiscal purposes only! If my recollection is valid, a December 2014 report from the previous government talked about 75% of Greeks retiring by the age of 61, including about a quarter retiring by age of 55, including about 8% retiring by the age of 50. There’s a good IMF study of the pension system published in 2005 or 2006, as i recall. It identifies the serious structural problems prior to the crisis, mostly starting with the corruption and proliferation of new small pension schemes of the 1980s and 1990s. You can crudely summarise it as three large systems of small payments for agricultural workers (many of them not) and low pensions — the OGA scheme; the IKA scheme which covered most employees, was always bankrupt and paid medium pensions; and the TEVE scheme for the self-employed, with high contributions and low-medium pensions. Alongside these three schemes for the plebs were various schemes for civil servants (privileged higher pensions) and at one point about 350 small schemes set up to garner subsidies from general taxation via political connections. I have looked up the First Memorandum of May 2010. Pension reform was addressed under point 22. Was all of that done? If yes, it would seem to me that things ought to be well under control (only 3 pension funds! ).